HERAT -- Iran is ramping up its interference in Afghanistan with a focus on Farah Province, Afghan officials say. Iran has two-faced policies towards the Afghan government: while it pretends to be a friend of the Afghan people, it is in fact an enemy, said Gen. Nurullah Qaderi, the commander of the 207th Zafar Corps of the Afghan National Army. "Do not take the [attack] of May 15 lightly and as a simple matter, in which a few motorcyclists came over and took over the city," he told Salaam Times, referring to the Taliban's failed attempt to seize Farah earlier this year. "This [assault] was planned and premeditated. They had worked on this [assault] abroad," he said. "We have an external enemy, and we are struggling on many fronts," Qaderi said. "We share a 290-km border with Iran, a country that we call our friend, but on the contrary, Iran is our enemy." Iran is supporting the Taliban in pursuit of its own objectives in Afghanistan, local analysts and officials say. 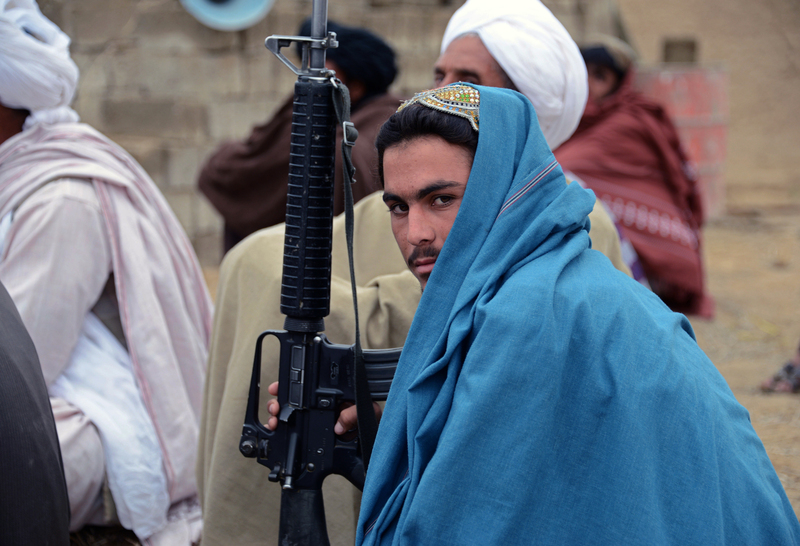 "The Iranian government has influence on the Taliban and utilises them in the western zone [of Afghanistan]," Mohammad Rafiq Shahir, a political analyst in Herat Province, told Salaam Times. "Iran interferes in Farah Province because of serious rivalries between Iran and Western countries, especially the United States." The Iranian government is trying to sabotage the United States' interests by supporting the Taliban, said Dadullah Qane, a member of the Farah Provincial Council. The planned construction of Bakhshabad Dam in Farah Province and US sanctions against Iran mean that Tehran cannot remain indifferent, he told Salaam Times. One of the ways Iran interferes in Farah is by allowing the Taliban to capture border checkpoints between the two countries, he said, pointing to the collapse of an Afghan security checkpoint in the Kuh Quch area of Qala Kah District. Iran's interests also lie in maintaining the water supply to its eastern provinces, which it fears the future Bakhshabad Dam could threaten, analysts say. Iranian officials, including President Hassan Rouhani, have previously said that building dams in neighbouring countries, including Afghanistan, is unacceptable. The Iranian government cites the needs of its eastern provinces as justification for preventing construction of Bakhshabad Dam, Shahir said. "Water is an important subject for Iran. In the past, Afghanistan did not have a strong enough government to protect its water resources," he said. "Now that the first water projects are being implemented by the Afghan government, however, it is a very sensitive issue for Iran... the eastern parts of Iran have been dealing with severe drought, and many protests have started because of water scarcity," he said. 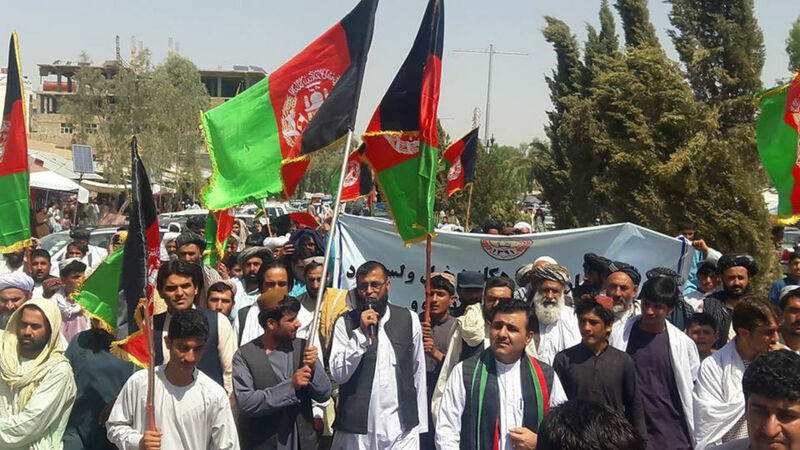 Meanwhile, the People's Peace Movement Friday (July 27) ended its three-day sit-in protest outside the Iranian embassy in Kabul, according to TOLOnews. Members of the movement erected a tent outside the embassy and posted a number of banners on the embassy's concrete blast walls. "To the people of Iran! Your government is equipping militant groups in Afghanistan," one banner read. "To the people of Iran! Our water is saving your lives, but your government is taking our lives," another poster read. The Iranian government has thwarted plans for Bakhshabad Dam for many years, said Jamila Amini, another member of the Farah Provincial Council. 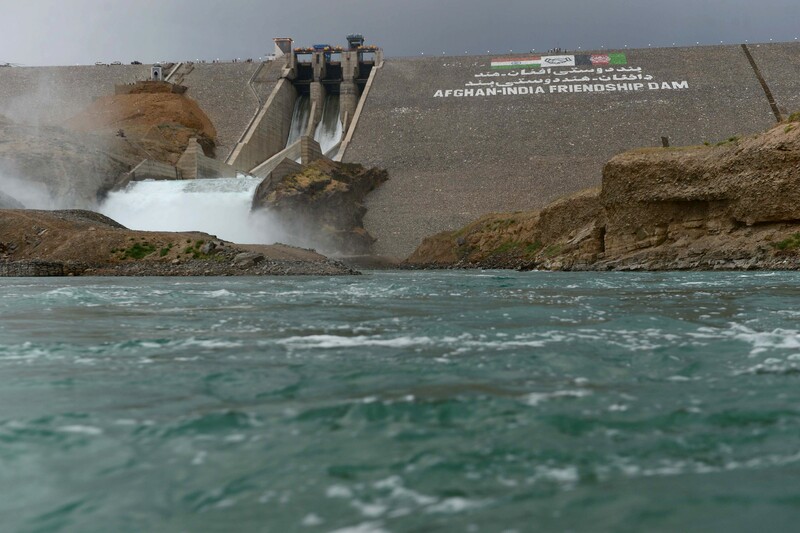 The Afghan government has wanted to build the dam on the Farah River time and again but has been unable to do so because of insecurity and the presence of the Taliban in the area, she told Salaam Times. "In my conversation with the [Afghan] president, I told him that the Iranian government should not be able to prevent construction of Bakhshabad Dam," she said. "In the past, this dam was just an ambition. Now, however, building Bakhshabad Dam is the most important necessity," Amini said. "The amount of existing underground water in Farah Province has drastically decreased," she said. "If work on Bakhshabad Dam does not start very soon, the entire population of Farah will have to migrate over the next ten years because of water scarcity." Iran is our enemy. Its true. Crimes committed by Iran against Afghanistan cannot be counted. A ten volume book should be written to cover the crimes committed against immigrants, against national interests, and in supporting of terrorists. May god destroy them and may they become even more humble than this, and may their offspring be uprooted from the earth.